She loves a variety of random things, which include doggies (hers as well as yours), Swing Dancing, Ice Hockey, Roller Derby and she is a bit obsessive about paranormal investigation shows and channel E!. She writes light-hearted works under Sarah Billington, and darker, scarier and more torturous stories under her pen name, Edwina Ray. 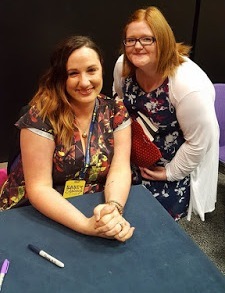 She also runs an editing, cover design and ebook formatting company Billington Media. 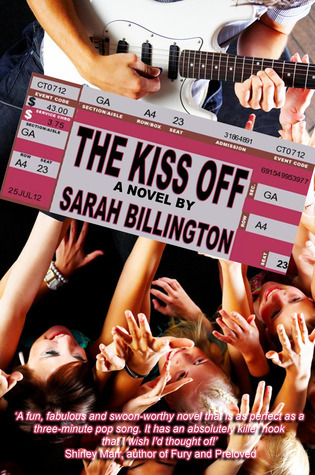 Coming in 2013: The Kiss Off 2! She bit her bottom lip, staring at me when her hands started wringing in front of her again. And she started bouncing. Bay Music Festival. Of all the nicknames in the world, it could have been a lot worse.